Answer to the frequently asked question: "Which bike is faster among the Pulsar 220, the Yamaha R15, the Hero Honda Karizma R/ZMR and the TVS Apache RTR 180? 3. 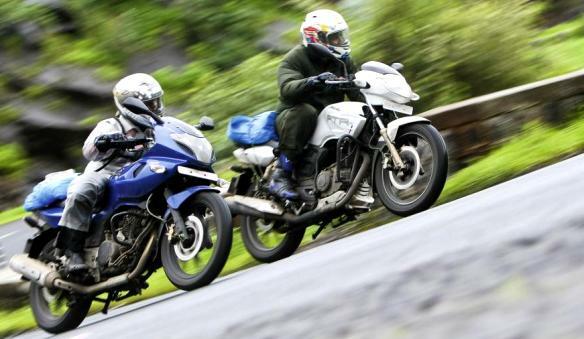 Pulsar 220 DTS-i is a speed/torque monster and it will mince both the bikes to smithereens!!" This above observation/comment has been made by a member (who also happens to be an Apache RTR 180 owner ) Chicane1879 of xBhp forum. From his observation it is clear that the Pulsar 220 is indeed the fastest in a straight line. What about the Karizma R/Karizma ZMR? Although the xBhp member hasn’t mentioned anything about the Karizma R but from my personal experience I can say that the Hero Honda Karizma R definitely has a lower top speed than the Yamaha R15 and probably would be neck to neck with the Apache RTR 180. I haven’t yet ridden the fuel injected Karizma ZMR, but I don’t expect it to be significantly different/faster than the carbureted Karizma R.
The peak power outputs of both bikes are virtually identical and in fact the Karizma ZMR weighs 9 kgs heavier than the Karizma R.
Just by adding a full fairing won’t make the bike significantly faster. Although not in a drag race, but I have ridden the Pulsar 220 DTS-i, Yamaha R15 and the Karizma R on a stretch of 1.5 km stretch at full throttle (with the upper body tucked in) and this are the "Speedo indicated" top speeds that I managed to clock in each of the bikes. One has to take into consideration that each of the above models have around 10 % error in their actual and speedo indicated speeds. Among the four (ok five with the ZMR) mentioned bikes the Pulsar 220 might be the Drag King but there are other aspects too on which the other bikes score brownie points. The engine of the Karizma R feels the most relaxed even at full throttle and feels like you can do these speeds whole day long. The R15 has the sharpest and the best handling here and feels like a bike designed for twists and turns of the race track. The RTR feels quite peppy due to its light weight and is the easiest to ride in traffic due to its compact dimensions. But the answer to the question about which is the "Fastest Indian" made bike in a straight line, the answer is the Pulsar 220. But come April 2011, the Honda CBR250R will in all probability take the crown from the Pulsar 220. For racing comparisons, the results came are true and judged. The point made about Karizma r and zmr is right but i think the full fairing should do some good to the speed(or aerodynamics) but yes, 8-9 full kilos of weight!!! I just love the speed of P220. The technology of R15 and ZMR,RTR-FI. The ergonomics of Karizma R.
Can anyone do magic and merge all these bikes in one SUPER BIKE..? But i also want to merge the price which is below 1L of almost all above bikes. no idea bro, but that what the xBhp member has posted. Probably there were some minor changes to the gearing to increase the initial torque.. but like I am said I don't have any idea about it. 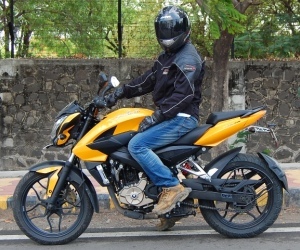 Pulsar 250 iz on the way...right after CBER 250 with almost same or more power figures and smashing onroad price when compared to CBR..
Its true..Pulsar is always the " Fastest Indian" and it will ever remain to be one..! Dont know whether its true or not. The site shows AutoCar news. every bike specializes in its own features but p220 is the best of them and yamaha r15 will be slightly behind that never mind about apache it doesnt come in this category karizma is a good straight line performer with top speeds of 145 to 140 not 125 as suggested by brother above but in terms of handling and road grip p220 is far better then karizma. hiiiiiiiiiii. all bikes rider. my self prashant. recently i have purchase the karizma r , i think in my opiniun dat karizma r is the value for money bike except pulsar220,180,150, or apache 180 also. ye in sab ka baap hai or zmr iske nana, karizma is the best in past and always best in future. guys, please don't take it otherwise. I would like to tell you, that you are comparing 1 150cc segment bike and another 180 beast with those 220 monsters. Try to think it twice, that how can you come to the point that 'p220' and 'ZMR' are the best ones. Compare '180 rtr' with the 'p180', and 'yzf r15' with 'rtr160', 'p150', 'fazer150' and 'extreme'. Then some other stunning results will come. And 1 more thing, you are telling 'bout 'cbr250rr', don't forget the 'ninja' art. Ninja will win the cup. 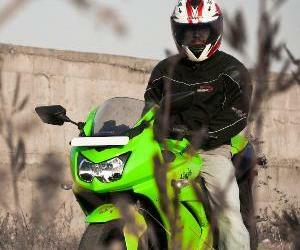 there is more to the R15 than just "engine CC's"
The Karizma never reaches 130 kmph. Not in its "stock form" and with a "true speed". Same goes for the RTR 180's true speed. Hi folks in my personal opinion the pulsar 220f and the karizma r 2011 with asfs technology are the best bikes for long rides. I dont mean to offend apache 180 and r15 owners but IMHO the r15 and rtr 180 are no match for a karizma and 220. Beleive me there is no replacement for displacement. The karizma's 223cc raw power and the fastest indian's 21bhp motor is simply mind blowing. 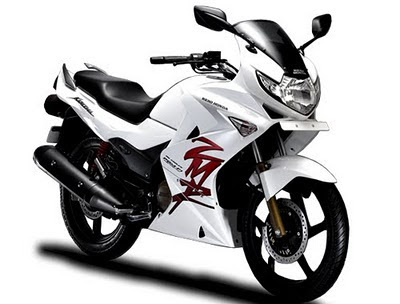 I own a karizma and have achieved a max speed of 145kmph in a crouched position. Redline a karizma upto 9k or 9.5k on every gear and enjoy its real power and real top end. i own the new 2011 karizma....5000 kms completed in 4 months. i have achieved a top speed of 135(stock). i have now replaced the stock sparkplugs (ngk conventional) to iridium spark plugs also installed a split fire cable....now my karizma does 125-130 kmph on 4th gear (single seat, crouched position). i haven't recorded the top speed yet. now about the p220...it is definately a v. good bike apart from being the fastest indian and drag king, but in terms of controlling and braking nothing beats a karizma. (i also own the type 1 pulsar from the past 9 years). about the r15, i have beaten an r15 ample number of times with my stock karizma. I was able to take R15 to 140 Km/ph with 10K RPM, that too with smooth ride. Being an liquid cooled engine was able to take it 440 KM with single stop worth 20 mins only. Great comfort. and handed over to a experienced rider. The Rx 135 was a modded one and i believe it weighs similar to a bicycle so that's obvious that it would beat a ninja. Drag them both on a 1 or more kilometer stretch and you will know who is the KING. kawasaki ninja has 2 cylinder engine would is suppose to give a lot of drag power..
Guys i think that u people r making a joke of ur self by comparing yahama R15 150cc and p220 still there is not much difference between there speed in drag let the yamaha lanched more than 200cc then compare.And i m just 16,i had a kawasaki ninja i think its a lord of indian road. 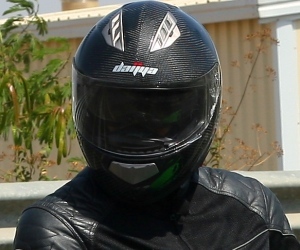 I have ridden all d above mentioned bikes.in my conclusion,karizma r and apache 180 are d best.which other bike offers you good mileage even when u are constanly pushing it to its limits.the karizma r is my favourite.u can go on and on with its 133-135 km/h top speed without a problem.but,p220,u can see that after constantly going at top speed,the bike's power seems to be decreasing.r15's handling is also one of the best. PLUSAR IS NT D FASTEST INDIAN... YAMAHA RXZ PORTED VS PULSAR 220... HAHAHAHA MY RXZ IS ROCKET. 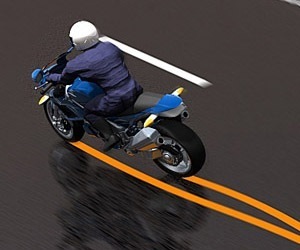 i have tested karizma r at top speed of 145km\hr exact (no slope). 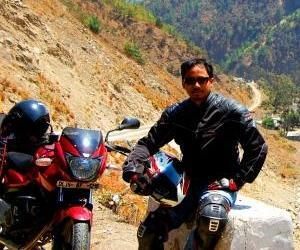 I have Karizma R. its top speed that I check ownself is 137km/hr on noida express way road. karizma reach 60 in 2nd gear,95 in 3rd, 120 in 4th and 137+ in 5th gear. after 115-120km/h it take time to reach 137 but not to much time then R15 and apache 180. I uploaded a video of my karizma R with top speed 137km/h. karizma R can go beyond 125 ........ ive gone 140km/hr with ma baby < n itz way much better dan apache nd pulsar..
Karizma uses the same base engine like the one mounted in its Indonesian's sibling, Honda Tiger series, with 200 cc of engine capacity. It outputs 16.5 PS of max power @8000 RPM, with max speed at the analog speedometer achieved around 130 KPJ. Trouble is, a 115 KPJ digital speedo (black cover) P180 UG3 matches it on the road, and even slightly moves ahead. Now, i know Karizma has a bit more power (18 PS ? ), but i'm sure it also weighs much more (Honda Tiger is around 137 Kg kerb weight, in its current incarnation, the Tiger Revo). So, i have to question those that claimed such sky high top speed of that bike. Yes, the bike is sturdy and offers good ergonomic for long range riding, decent cruising speed too, but a hyper speedster it is NOT. karizma R top speed is 140km/hr..smooth..comfortable..lacks styling..clip on handle bars..20PS+ power with 223cc would be the idle upgrade..
With regards to all the comments posted above, the bare truth is that the P220 is way quicker than the rest. The Karizma ZMR is not quicker than the Karizma R owing to its weight. Also the ZMR engine is not as smooth as the Karizma R, on account of the faring the ZMR heats up quite a bit. Have you ever ridden R15 2.0 ever?? 204 km/hr?? if not then at least don't make false statements.